Horticulture (flowers, fruits and vegetables) is the second biggest foreign exchange earner after tea. Serviced by Nairobi Jomo Kenyatta International Airport, with so many daily European bound flights in addition to good climate, horticulture and floriculture together have made the industry thrive. The success is attributed to investors in Kenya meeting the EU standards for safety and quality as well as organizational logistics. Large and small scale growers have partnered to form the Fresh Produce Exporters Association of Kenya (FPEAK) to develop, unite and promote the Kenya horticulture industry in the global market with due regard to safety, good agricultural practices, social, ethical and environmental responsibilities. For more information on FPEAK and Kenyan horticultural exports, please visit their webpage http://www.fpeak.org to see some of the most important flower and other horticulture product exporters in Kenya. Further, the Kenya Flower Council (KFC) works closely with Kenyan floriculture organizations to provide the key mark of quality that is acceptable internationally. 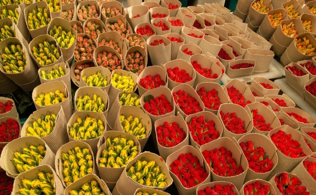 The Council’s code of practice is equally recognized just like the Global Flower Label Program. KFC has a membership of 72 flower farms which represents about 70% of the flowers exported from Kenya. http://www.kenyaflowercouncil.org This website will expose you in more detail the members of the flower council (The members, their websites and contacts).